This is according to the Eastern Cape Provincial Commissioner, Lieutenant General Liziwe Ntshinga, who welcomed the hefty sentence imposed on three suspects charged for more than 55 counts of rhino poaching between the years 2013 and 2016. 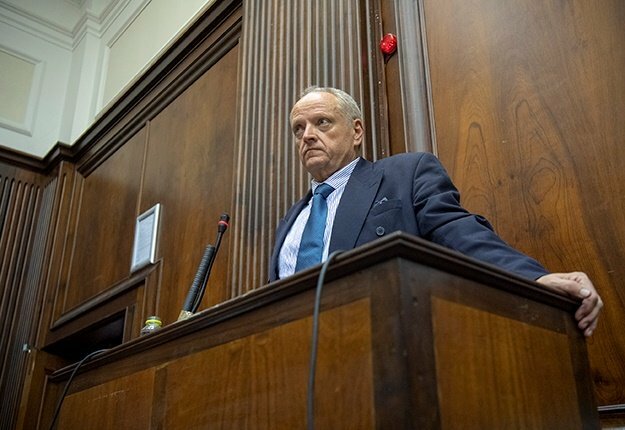 A team of investigators under the leadership of Capt Morne Viljoen investigated the case which led to the conviction of the trio in March 2019. Forget Ndlovu (43), Jabulani Ndlovu (41) and Sikhumbuzo Ndlovu (40) were sentenced by the Grahamstown High Court last week. The three accused were found guilty on all 55 separate counts and the shortest sentence handed down being 5 years and the longest being 15 years. All the sentences will run concurrently which means that each of the suspects will serve 25 years imprisonment. Lieutenant General Ntshinga has welcomed the 500 years imprisonment imposed on the Ndlovu trio. She also congratulated the meticulous and professional investigation by the team of investigators and the collaboration between SAPS and NPA which led to the lengthy prison term.